Beautiful Ochoco Reservoir, located in the scenic high desert of Central Oregon, is a great place to camp and fish all year long. A 1,100 acre reservoir used for irrigation and flood control in scenic Central Oregon. Just 42 miles northeast of Bend off Highway 26. The lake is stocked with rainbow trout every spring. RV and tent camping sites are available near the reservoir. Ochoco Reservoir is located about 42 miles northeast of Bend, just past the town of Prineville. It was created after World War I to provide flood control and irrigation waters for the surrounding area. 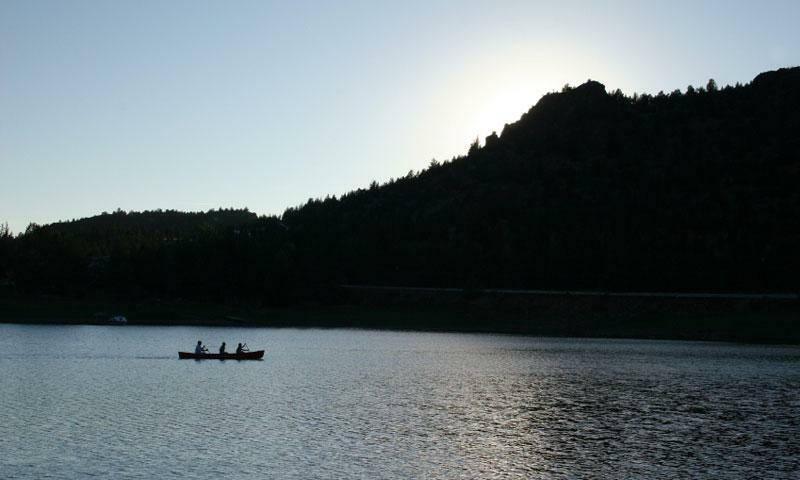 Easily accessible via Highway 26, this scenic reservoir is a popular place to fish, boat and camp. It is open throughout the year. This part of Oregon is high desert country with pale green sagebrush, beautiful juniper trees, and over 300 days of sunshine. Ochoco Reservoir is about42 miles northeast of Bend. To get there take Hwy 97 north to Redmond, then take Hwy 126 east to Prineville. The reservoir is 6 miles east of Prineville just off Hwy 26. It is open all year round. Oregon State Parks, 91677 Parkland Dr., Prineville, OR, 97754. Phone: 541-447-4363. Visit the website here. Fishing – Anglers will enjoy fishing at Ochoco Reservoir. During the winter it offers excellent ice fishing. In the spring, the reservoir is stocked with rainbow trout. Black crappie, largemouth bass, and brown bullhead catfish also reside in the reservoir. Camping – If you want to enjoy a night out under the stars, Ochoco Lake State Park provides several nice camp sites. There are also two RV parks nearby. Ochoco Reservoir has a surface area of 1,100 acres. The reservoir is a half mile wide and about 3 miles long. It has a maximum depth of 100 feet. Since the reservoir’s waters are used for irrigation by farmers, the best times to fish are fall, winter, and spring when the water levels are higher. The reservoir has an elevation of 3,100 feet.